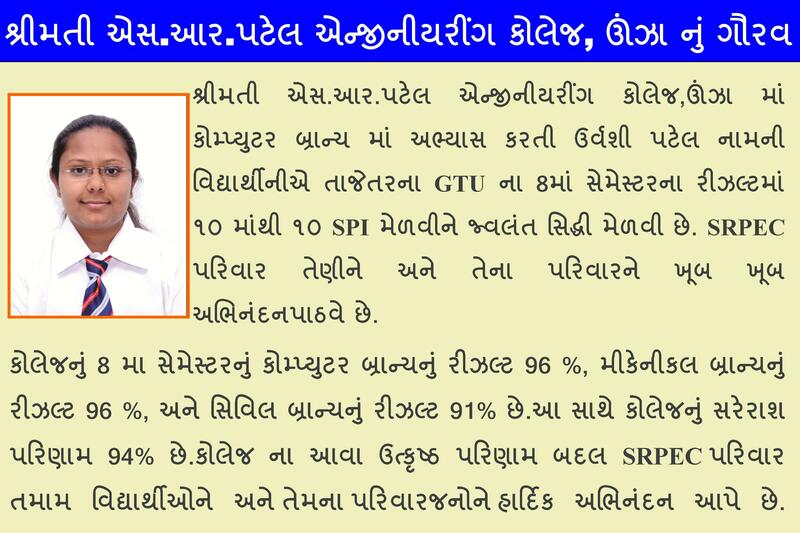 Report - Industrial Visit at "Amtech Electronic India Limited,Gandhinagar"
Report - Industrial Visit at "Regional Telecom Training Center, RTTC, Ahmedabad"
Report - Expert Lecture on "PHP Laravel Development”"
Report - Expert Lecture on "Interactive PHP with YII and current scenario of IT industry"
Event - Expert Lecture On “PHP Laravel Development"
Report - Expert Lecture on "Web Designing"
Event - "One Day Workshop On Latex"
Event - "One Day Workshop On Word Press"
Report - "Industrial Visit to Indian Space Research Organization (ISRO),Ahmedabad"
Upcoming Event- Expert Lecture on "Angular JS"
"Participation in ICCAN – 2017 at KIIT, Bhubaneshwar, Odisha"
Report - Short Term Training Programme on "Android Application Development"
"Participation in ICACIE-2017 at Central University of Rajasthan"
Event - Short Term Training Programme on "Android Application Development"
"Best Paper Award in IC4S-2017 (Springer) at Phuket, Thailand"
Report - One Day Workshop on "Latex"
Upcoming Event - One Day Workshop on "Android Programming"
Congratulations! 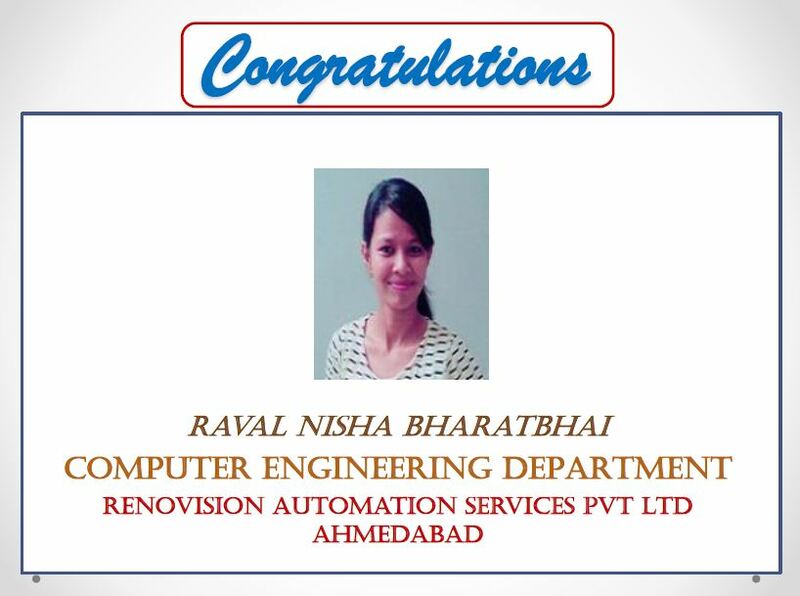 Nisha Raval Placed in "Renovision Automation Services Pvt Ltd."
Congratulations! 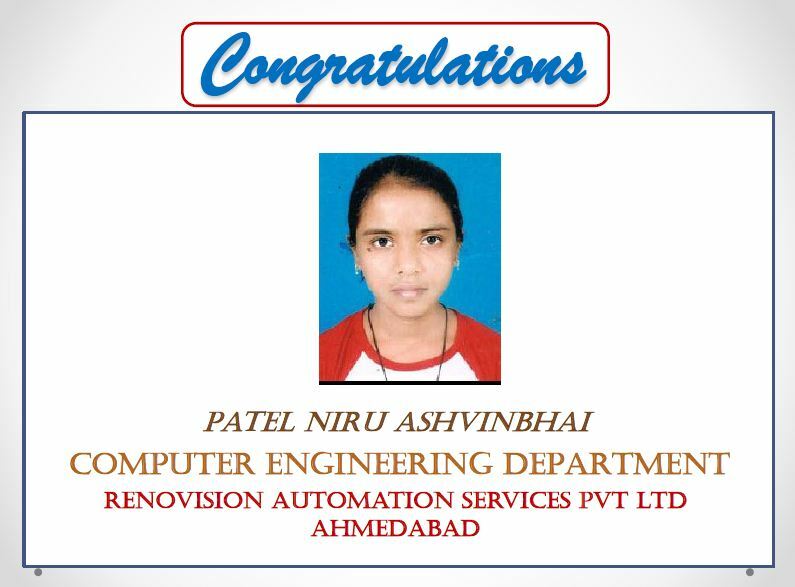 Niru Patel Placed in "Renovision Automation Services Pvt Ltd."
Vacancy for Computer and Mechanical Engg. E2logy Software Solutions Pvt. 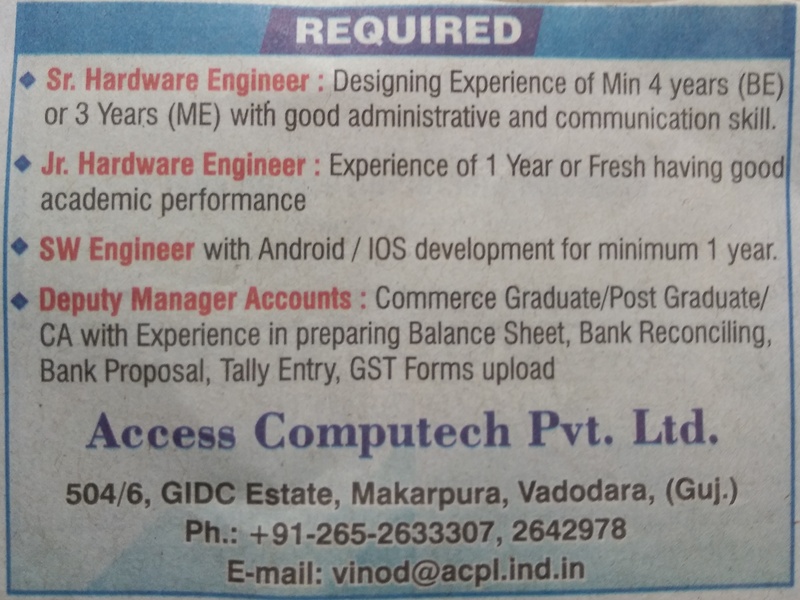 Ltd.
Recruiment Notice by Access Computech Pvt. Ltd.
© 2017 SRPEC All Rights Reserved.